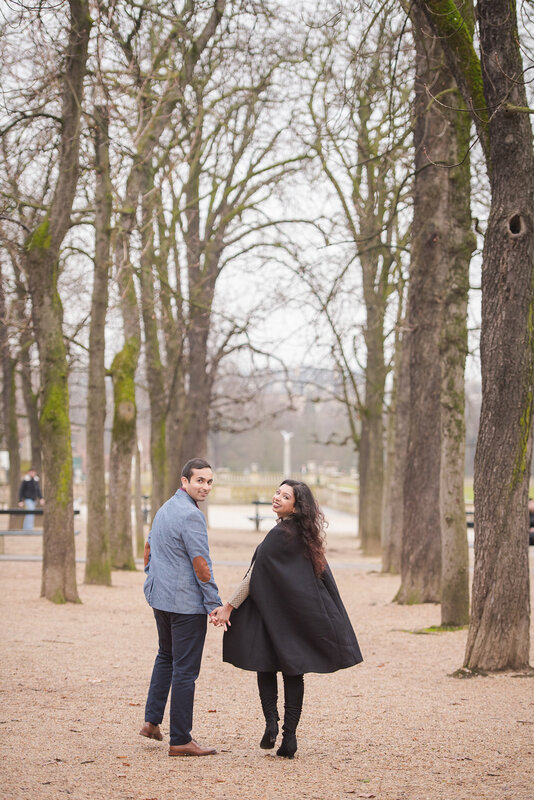 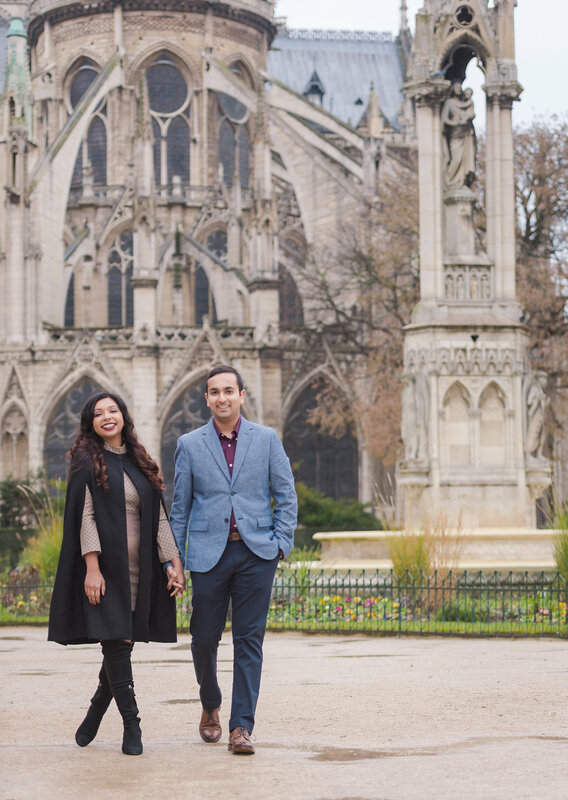 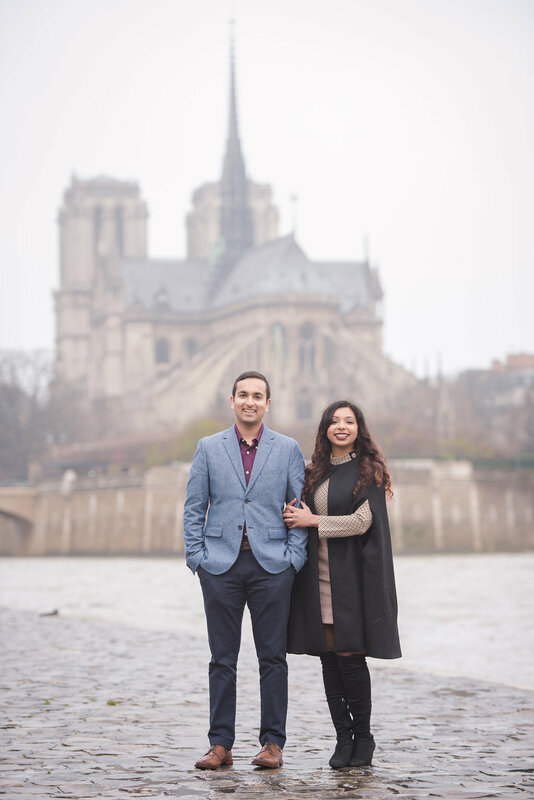 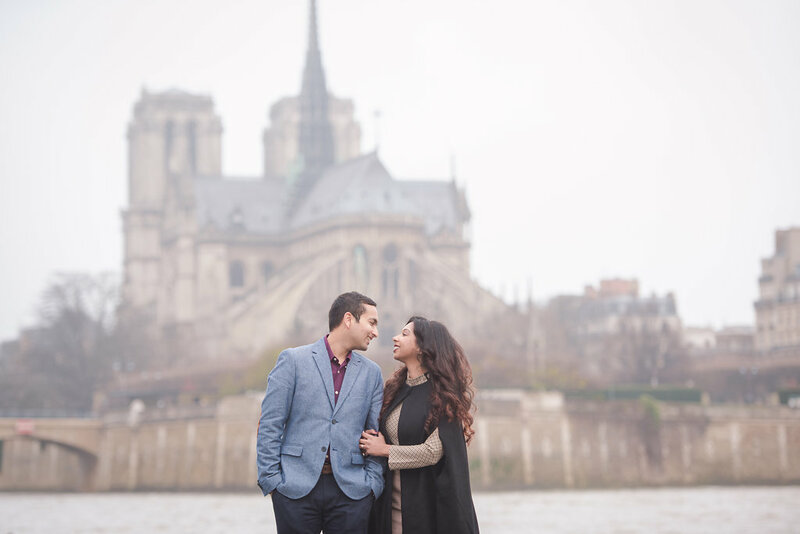 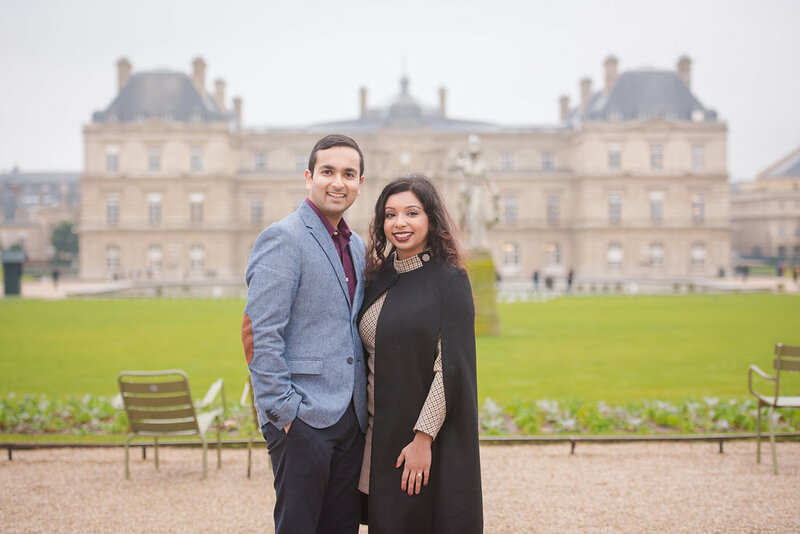 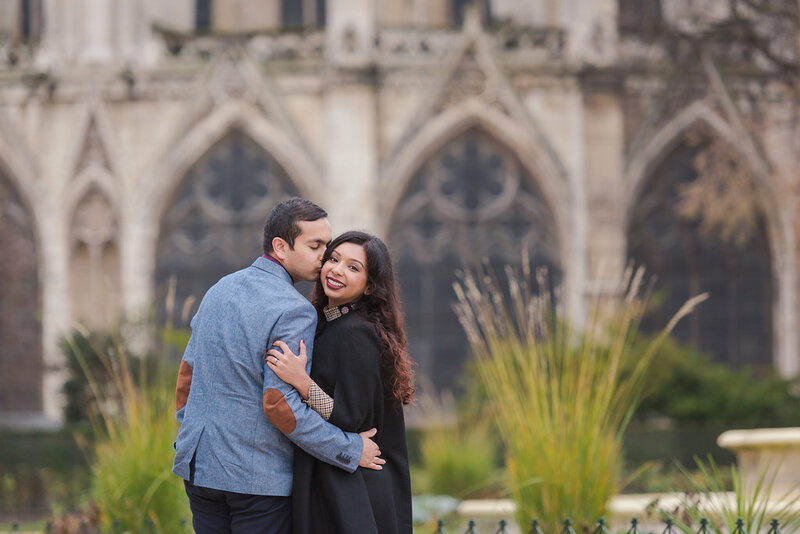 After their charming proposal, Shyama and Shiv continued playing model with an engagement session. 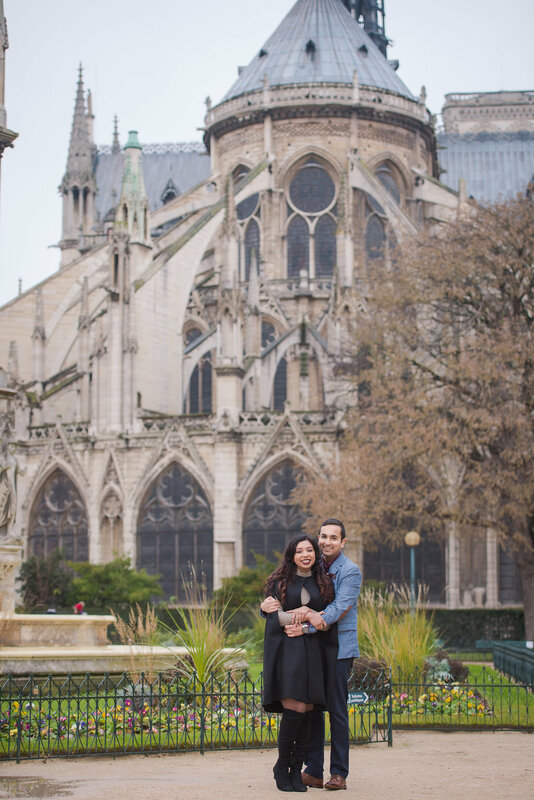 This time, we ventured to another part of Paris, Notre Dame on Ile-Saint-Louis and the Luxembourg Gardens on the Left Bank. 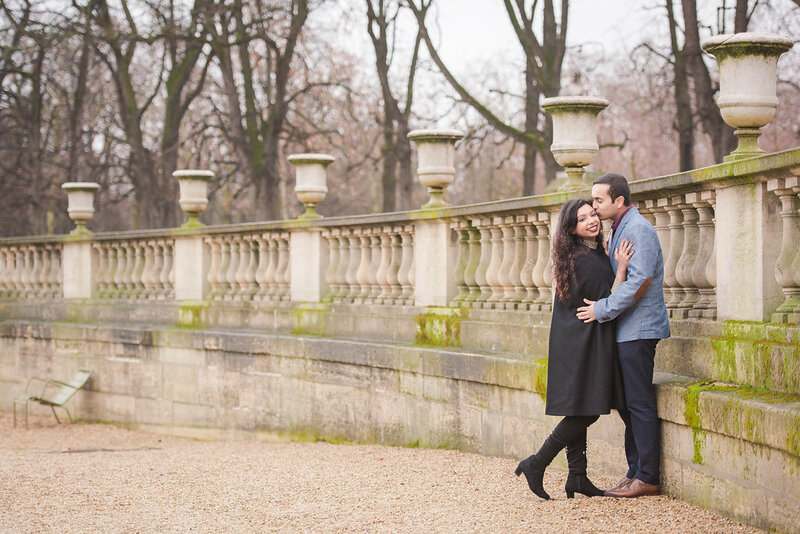 This couple is just wonderful and you can see their joy shining out in these photos!